Angela is a Chartered Clinical Psychologist, registered with the Health Care and Professions Council (HCPC Reg. No. PYL 03377). She is an Associate Fellow of The British Psychological Society and a Registered Provider with all major health insurance companies. She qualified in Psychology from the University of Bristol, and gained her Doctorate in Clinical Psychology from the University of Exeter in 2000. She has since worked continuously in the Bristol area both for the NHS (to 2009) and in private practice (from 2003), including nine years based within the Pain Management Centre at Frenchay Hospital. 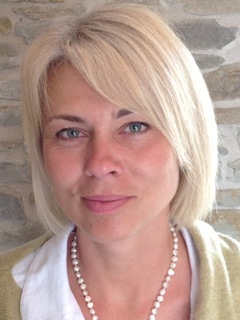 She has considerable clinical experience in managing psychological and psychosomatic conditions using cognitive behavioural therapy (CBT) and a variety of other evidence-based techniques. She stays continually up to date with the latest advances in therapeutic practice by attending and sometimes presenting at multi-disciplinary meetings and congresses. Angela has been involved in the study and practice of psychology since 1990. She gained her preliminary diploma at the Free University of Berlin before moving to the UK, graduating from the University of Bristol with a BSc in Psychology. She went on to carry out diverse research at its Department of Mental Health and Division of Primary Care, looking at deliberate self-harm prevention, people’s risk taking behaviours and experience of hallucinations, gaining a Masters degree. In her doctoral thesis at the University of Exeter, from which she obtained a Doctorate in Clinical and Community Psychology, she investigated mediating factors in post-traumatic stress disorder (PTSD). In her NHS work she specialised in the management of and rehabilitation from chronic or life-threatening medical problems, including chronic pain, cancer and chronic lung disease, and the early prevention of disability in the field of recurrent back pain. She also worked in adult mental health, treating anxiety, depression and PTSD, in Women’s Health, dealing with gynaecological and fertility problems, pregnancy loss and postnatal depression and at a Neonatal Intensive Care Unit. She left the NHS in 2009 to focus on her growing private practice. Before becoming a psychologist Angela had qualified as a midwife. She is also an RYA Yachtmaster, a PADI Divemaster and a keen gardener with a weakness for dry-stone walling.